Through a settlement brokered by the State of Nevada Attorney General's Office, approximately $3.8 million will be made available to the University of Nevada School of Medicine for research projects aimed at improving women's health in Nevada. This was announced in a November 2, 2015 release from University of Nevada-Reno’s Nevada Today, and authored by Anne McMillin. According to this release, the State of Nevada obtained the funds in a settlement with pharmaceutical companies Wyeth, Pfizer, and Pharmacia & Upjohn relating to claims regarding post-menopausal hormone therapy products. The funds will be distributed by the Attorney General's Office over a five-year period ending in 2019, with half the available research funds going to School of Medicine faculty in Reno and Las Vegas and the other half going to the University Medical Center of Southern Nevada. Through the process of submitting of grant proposals, School of Medicine faculty members are able to access settlement funds to support research studies on women's health. In Reno, the School of Medicine's Pharmacology Department is heavily involved in research relating to women's health. The state funding has already helped Iain Buxton, Pharm. D., Chair of the Pharmacology Department, purchase a super-resolution microscope, the first of its kind for Nevada. This microscope enables scientists to study sub-cellular structures in the greatest detail using fluorescence imaging. Dr. Buxton is the principal investigator on research projects involving breast cancer and also pre-term birth at the School of Medicine. In a Nevada KTVN Channel 2 televison report on this new women’s health research funding from the State, it was noted that researchers at the University of Nevada, Reno have already made some significant strides into understanding breast cancer and how it metastasizes. A unique research project on developmental dyslexia is being launched at the Nencki Institute of Experimental Biology in Warsaw, Poland. The new effort is aimed at examining different factors responsible for development of the reading disorder. At a time when people are dominated by intensive mass media, dyslexia becomes even more burdensome. Problems with decoding and comprehending words make it difficult for people with dyslexia, not only to read books, papers or maps, but also to use computer, smartphones, email, or internet. Researchers from the Nencki Institute have been studying reading difficulties for many years now. A natural follow-up to their their work is the planned pioneering research on the causes of dyslexia in children and its treatment, for which the team led by Professor Anna Grabowska received a prestigious MAESTRO grant from the Polish National Science Centre (https://www.ncn.gov.pl/finansowanie-nauki/konkursy/typy/5?language=en). The aim of the new project that will be conducted at the Nencki Institute is to achieve a better understanding of the mechanisms responsible for the development of reading disorders in children, with the long-term goal of establishing new methods for early diagnosis and more effective treatment directed at the cause of dyslexia in each individual. Warsaw researchers intend to examine, in two waves, 530 pupils of the first five primary school classes, including both at-risk-of-dyslexia children and typically developing ones. The researchers are still recruiting participants via website https://dysleksja.nencki.gov.pl/. Developmental dyslexia occurs in approximately 12% of the population and it does not improve with age or time. 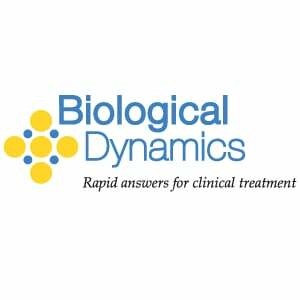 Biological Dynamics, Inc. a private molecular diagnostics company, announced today (November 5, 2015) that it has completed a $26.8M round of financing. The financing round, consisting of a combination of Series C investment and convertible debt, was led by a large institutional investor associated with a major university. The round was joined by new and existing investors including the Heritage Group, Alexandria Venture Investment, and Irwin Jacobs, the co-founder of Qualcomm. Proceeds from the financing will be used to advance regulatory clearance for the company’s lead oncology diagnostic program, the TR(ACE)™ assay (http://biologicaldynamics.com/oncology/), and for general working capital purposes. Biological Dynamics has pioneered the use of alternating current electrokinetics (ACE) technology in the field of molecular diagnostics. The company’s ACE lab-on-chip (LOC) platform (http://biologicaldynamics.com/ace-platform/) isolates nanoparticles from high-conductance physiological solutions (such as whole blood, plasma, and serum) directly, without the need for dilution and with minimal hands-on time. This direct-to-analyte approach allows the company to develop minimally invasive and simple-to-perform diagnostic tests that detect cell-free DNA, exosomes, and certain cellular debris from 250 microlieter samples in less than 30 minutes. The company’s first product, which is the TR(ACE)TM assay, utilizes the ACE platform to assess treatment response in oncology. “We are grateful for the enthusiastic response from our new institutional investor and the continued support from our existing ones,” said Raji Krishnan, Ph.D., CEO of Biological Dynamics. “Treatment response monitoring (TRM) is a key piece of patient care. 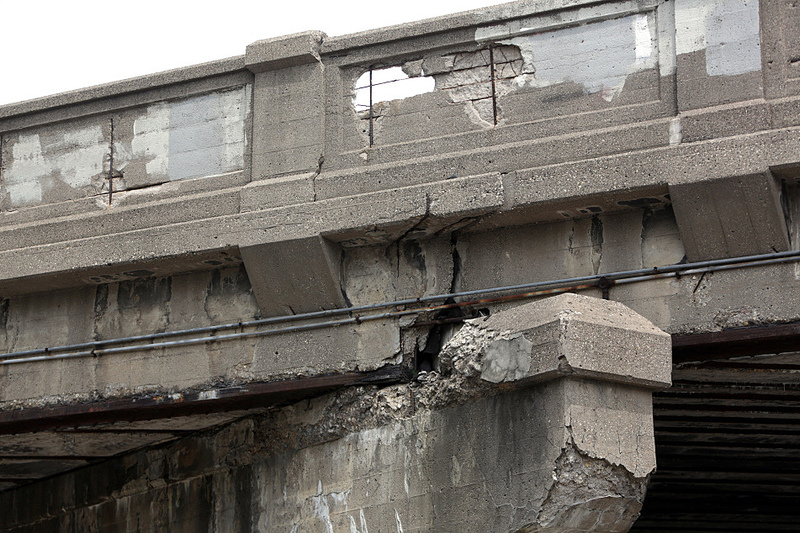 When bridges, dam walls, and other structures made of concrete are streaked with dark cracks after a few decades, the culprit is a chemical reaction termed the “alkali-aggregate reaction” (AAR). Also called the “concrete disease” or even “concrete cancer,” it is a reaction between substances contained in the material and moisture seeping in from outside. AAR damages concrete structures all over the world and makes complex renovations or reconstructions necessary. Researchers from the Paul Scherrer Institute (PSI), the largest research center for natural and engineering sciences in Switzerland, and the Swiss Materials Science Lab Empa have now solved the structure of the material produced in the course of AAR at the atomic level – and have thereby discovered a previously unknown crystalline arrangement of the atoms. The results were published online on October 14, 2015 in Cement and Concrete Research, the top journal in the field of building material research. The article is titled “Application of Micro X-Ray Diffraction to Investigate the Reaction Products Formed by the Alkali-Silica Reaction in Concrete Structures.” Researchers from the PSI teamed up with colleagues from Empa to study a degenerative sign of aging in concrete: the so-called alkali-aggregate reaction (AAR). In the course of AAR, a material forms that takes up more space than the original concrete and thus gradually cracks the concrete from within as the decades go by. The researchers have now explored the exact structure of this material. They managed to demonstrate that its atoms are arranged extremely regularly, making it a crystal. They also showed that the structure of this crystal is a so-called “sheet-silicate structure.” This specific structure had never been observed before. In a November 5, 2015 announcement, Desktop Genetics Ltd. (DTG), a London-based software company focused on revolutionizing the way biologists use CRISPR/Cas9 gene editing technology, stated that it has signed a partnership agreement with Transcriptic, Inc., a California-based robotic cloud laboratory for life sciences. The partnership, announced at the SynBioBeta San Francisco 2015 Conference (November 4-6) (http://synbiobeta.com/conferences/synbiobeta-san-francisco-2015/), will combine DTG’s CRISPR/Cas9 design software with Transcriptic’s services for cloud-based, high-throughput cloning of CRISPR constructs, to provide customers with seamless, on-demand CRISPR gene editing. From today (November 5, 2015), DTG announced, researchers in industry and academia will be able to benefit from access to the integrated offering that aims to eliminate time-intensive manual steps involved in the gene-editing process to reduce the complexity, costs, and time required to modify any gene in any organism or cell line. Under terms of the agreement, DTG will provide proprietary, high-performance CRISPR library design algorithms from the DESKGEN gene-editing platform, while Transcriptic will conduct the automated, high-throughput assembly of the CRISPR libraries using their self-contained robotic molecular biology labs, known as Workcells. Through a simple web browser interface, customers will have full input on experimental design parameters and will effectively eliminate several time-intensive manual steps involved in the gene editing process.